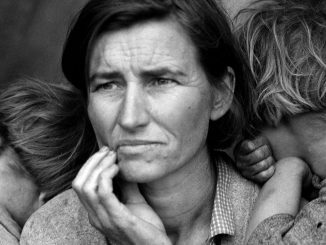 Along with John Wayne and Victor McLaglen, one of her most iconic roles from The Quiet Man directed by John Ford. Today, the Irish eyes aren’t smiling. 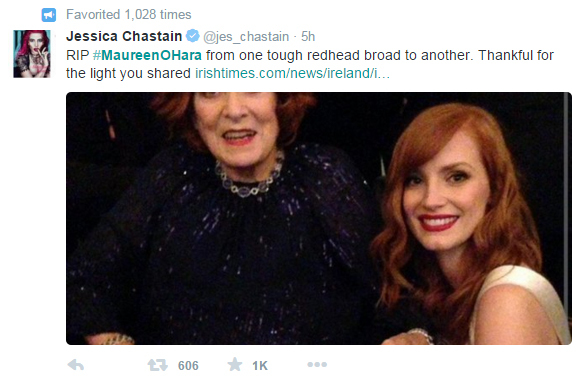 Maureen O’Hara, that spirited, feisty, unfathomably beautiful Irish icon of the cinema passed away at the age of 95. She was the crown jewel of Ireland, one of the most beloved screen actresses of all time, and a role model to women everywhere. The loss is not a light one. 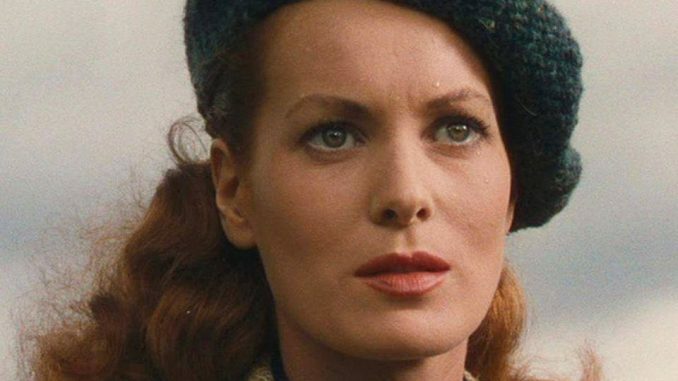 For Maureen O’Hara is one of the very last of the surviving movie stars to come from Hollywood’s Golden Age of Cinema. In her seven decade long career she gave us memories that have lasted from childhood, strong into adulthood: a feat only possible by the equally as strong, indomitable force behind those indelible characters. 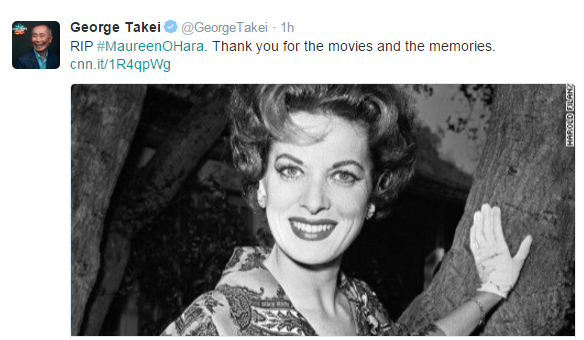 It wasn’t just her extraordinary, striking beauty that struck a chord with audiences–and O’Hara knew it. And O’Hara was adamant, from early on, to prove that she was ‘a bloody good actress.’ A fact that her fans–and any casual moviegoer fortunate enough to have caught her in any one of her 60+ films–are keenly well aware of. 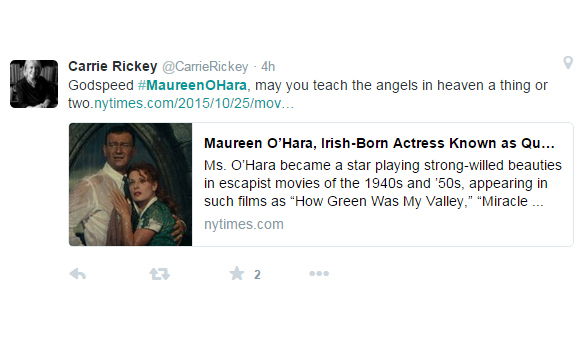 Maureen O’Hara (all five foot eight, 36-26-36 of her) was more than an ethereal screen goddess. She was an extraordinarily strong and inspiring beauty– every inch the fighting Irish. And although the Academy did not bestow her with a competitive Oscar (she received an honorary Oscar at last year’s Oscar ceremony, joining the ranks of such legendary and incalculably influential women as Barbara Stanwyck and Myrna Loy to have received a similar conciliatory prize) she was a stirring force regardless. Who else but a fiery redheaded Irishwoman would stand tall to John Wayne in The Quiet Man (and McLintock! and Rio Grande and The Wings of Eagles and Big Jake), remain steadfast in the face of small-minded gossip in How Green Was My Valley, speak out in defense of human dignity and disabled rights in The Hunchback of Notre Dame, serve hotty pants Tyrone Power a heaping helping of humble pie in The Black Swan, and show us all how to believe in miracles in The Miracle on 34th Street. 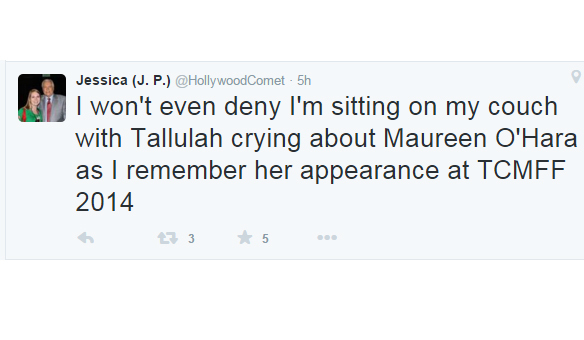 Few could, few did, and few ever will match what Maureen brought to the screen. 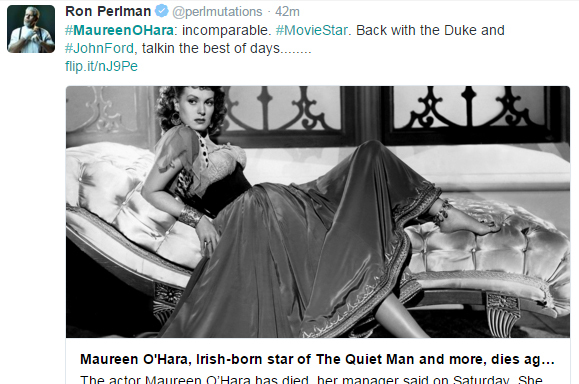 Immediacy; intimacy; fierce intelligence– O’Hara was second to none. Especially her leading men. And while we all mourn the loss of one of the most beloved film actresses of all time– and one of the last tangible links we had to that ever disappearing, bygone world of classic Hollywood– we at least have the comfort of knowing that she’s still with us. 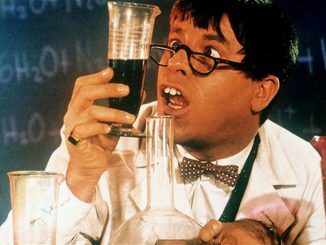 Thanks to the everlasting, ever-loving magic of film. 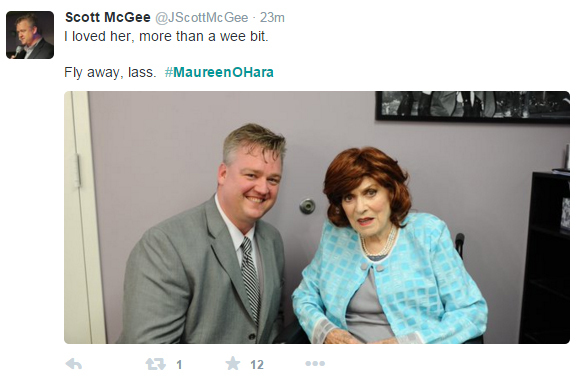 Rest in peace, Maureen, o’ eternal queen of the Emerald Isles. 1947’s Sinbad the Sailor opposite Douglas Fairbanks, Jr. 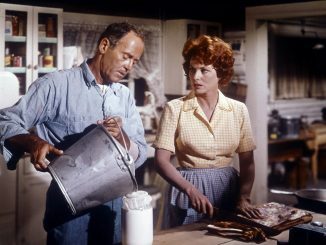 Some of us younger folk got our first peak at O’Hara in the delightful Disney comedy, The Parent Trap with Hayley Mills and Brian Keith in 1961. Charles Laughton helped launch O’Hara’s career by recommending her to Alfred Hitchcock for Jamaica Inn. One of many albums O’Hara released, this in 1958 by RCA. 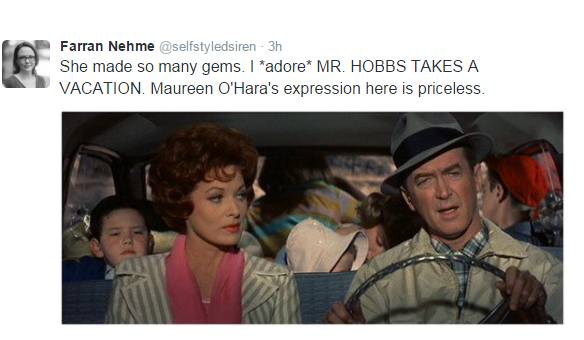 I have been Maureen’s archivist and website editor (Maureen O’Hara Magazine) for over twenty years. Her friendship has changed my life in so many wonderful ways. God Bless You Always Maureen. Love you. Thank you so much for stopping by, June! It’s wonderful to meet you and know that Maureen’s memory and image is safe in your hands.